This flexible floor scraper is used with an electric breaker to lift old floor finishes or for floor preparation. We offer these in numerous fittings; SDS, SDS Max & TE905. 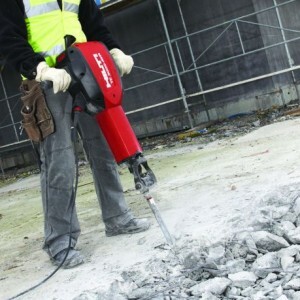 Categories: Breaking / Drilling Accessories, Breaking & Drilling for Hire. This electric diamond drilling rig is suitable for core drilling concrete upto 152mm. This item is available with various accessories, such as a vac pump & drilling rig. Electric breaker suitable for light breaking works. 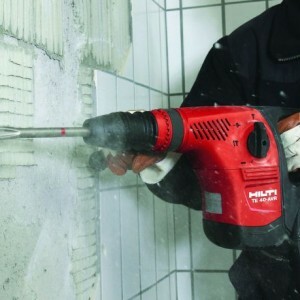 Ideal for removing wall tiles, render, plaster, chasing etc. Points, chisels and bolster available as required. 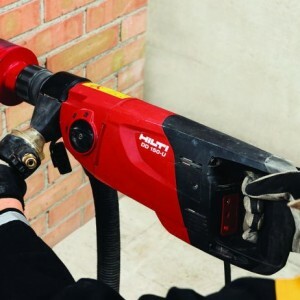 This heavy duty road breaker is an exceptionally powerful concrete demolition hammer, featuring low vibration and a brushless motor. © 2016 Hire Link UK. All Rights Reserved.